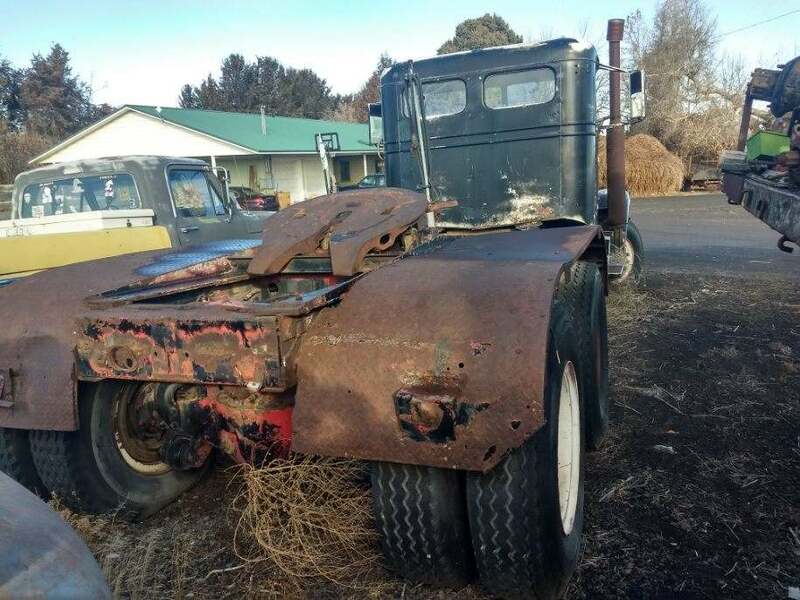 This black 1949 IHC International Model W-4064-L 203" wheelbase extra-heavy-duty 6X4 Scott-Hall "Western, "Westcoaster" or "Emeryville" tandem twin screw axle truck is a very scarce commercial truck ready to be restores or customized. Also know as six window "3 man cab". The truck was manufactured at the IHC plant in Emeryville CA. 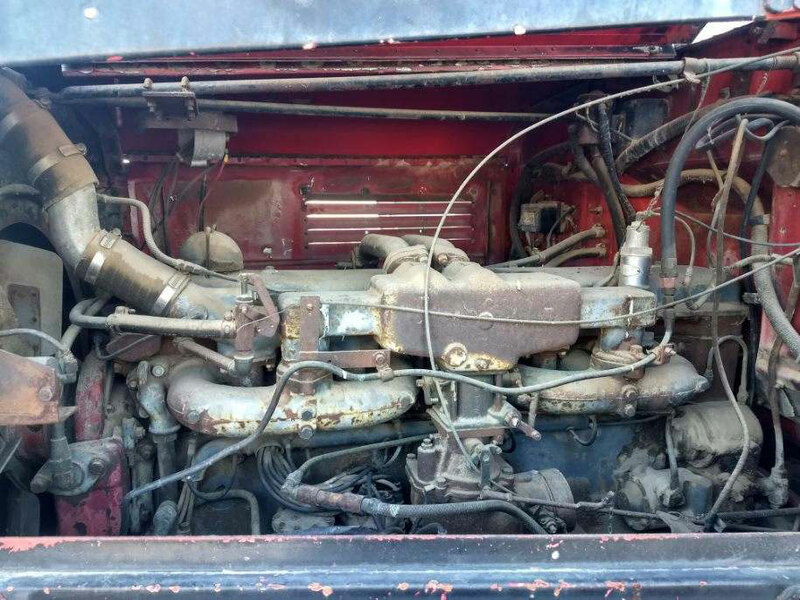 The truck has a very scarce Hall-Scott HS-470 855 CID 222 HP OHV inline six cylinder motor. The power transmission is through a Fuller 5-A-1120 5 speed transmission with Spricer 3031-8 three speed auxiliary transmission yielding 15 forward speeds. The truck has Timken SW-456 twin screw dual wheel tandem axles and an Eaton 83-F front axle. 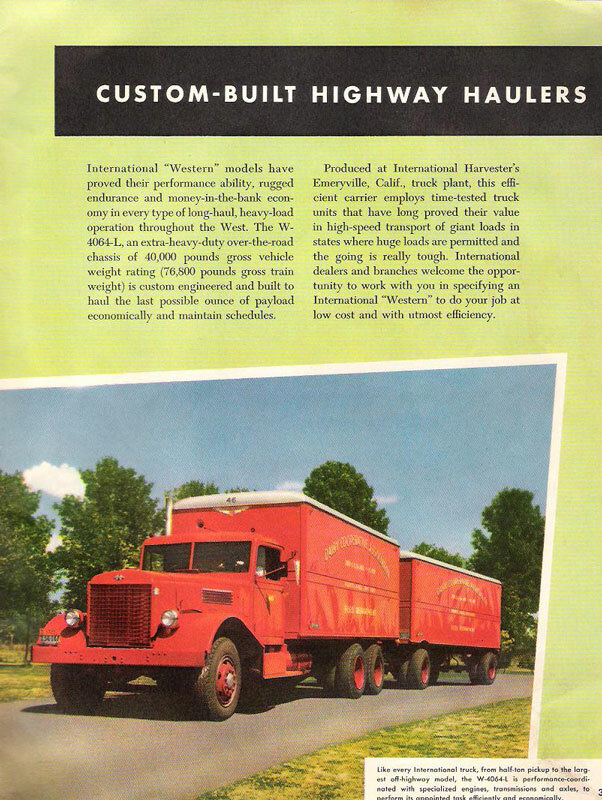 The IHC brochure says the truck is used where "high speed transportation of giant loads in states when huge loads are permitted and where the going is really tough" and "has an extra-heavy-duty over-the-road chassis with 40,000 lbs. 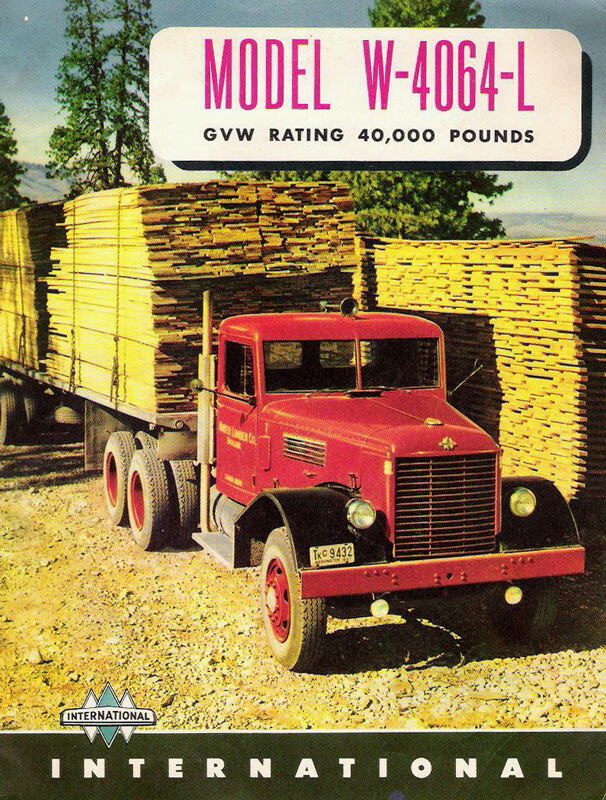 gross vehicle weight (76,800 lbs. gross train weight)." The truck is very complete and has dry high western desert sheet metal. All the flat glass is broken. There are some small dents in the front left fender. A couple of the hood side trim pieces are loose. 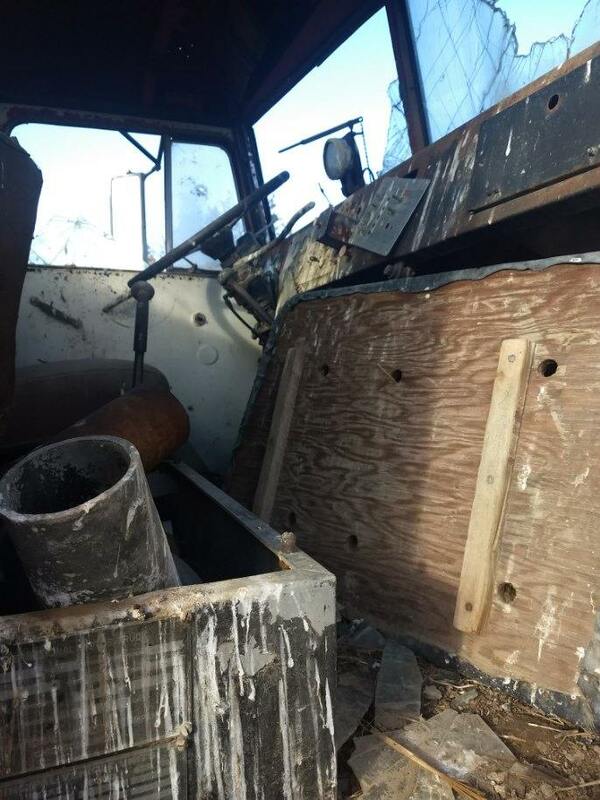 The passenger seat is missing and some of the gauges are loose. The rear fenders are well fabricated from diamond plate. The back of both fenders are dented and have some welded brackets. There is a commercial fifth wheel hitch. 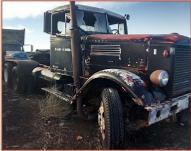 This a very scarce commercial truck and likely one of a few in existence. 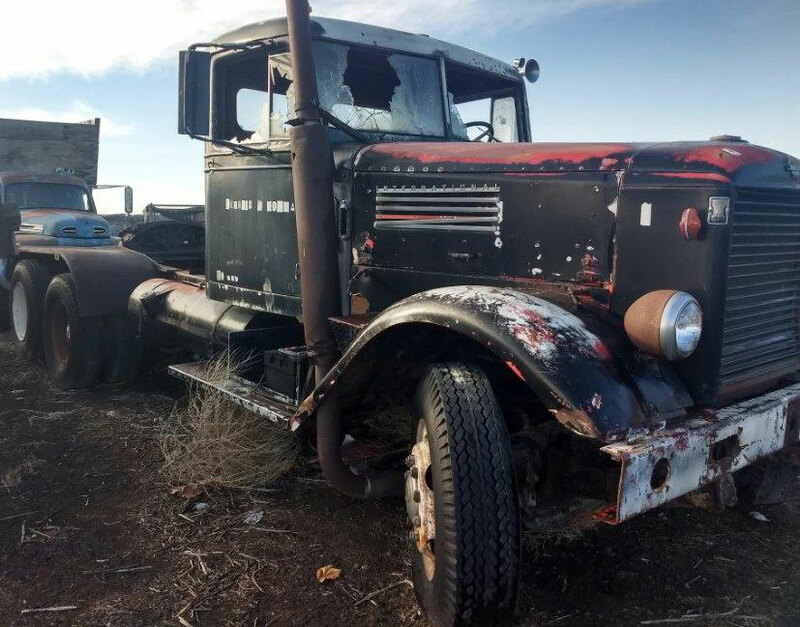 Do not miss this chance to restore or customize of the biggest classic trucks built by IHC...the Western C-4064-L twin screw semi.